I have lived in Europe for about 8 years now, the majority of that time being spent in Amsterdam, NL …. now we live in Dublin, Ireland, outside of the schengen zone. 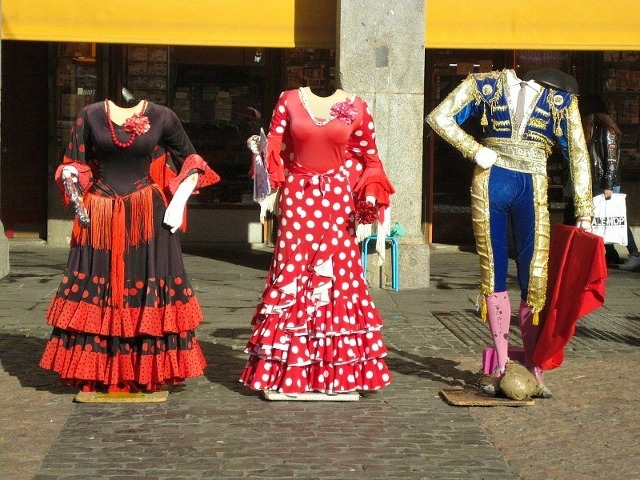 Since our arrival we have visited many many other European countries but we have never been to Spain. Not sure why our travel plans never seemed to bring us anywhere near the Iberian peninsular and we never sought to plan our vacations in either Spain or Portugal. We’ve heard so many wonderful things about Spain from various travel junkie friends and yet it has taken us until now to finally make the trip. 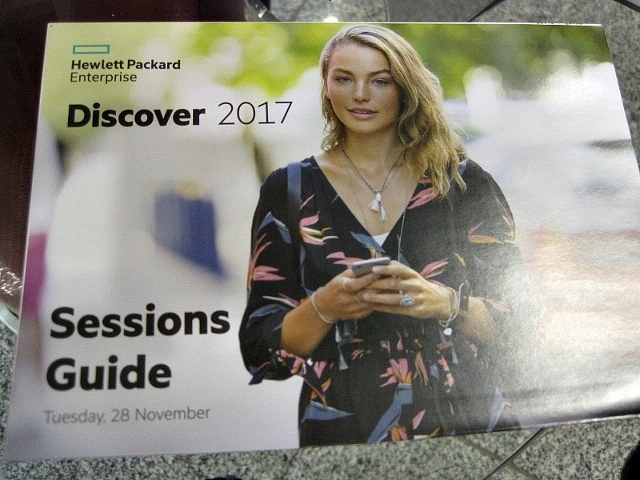 And this wasn’t even a vacation visit … the boyfriend had been sent on a business trip to attend the Hewlett-Packard Enterprise Discover Convention 2017, which is a three day event held at the IFEMA Feria de Madrid – Av. 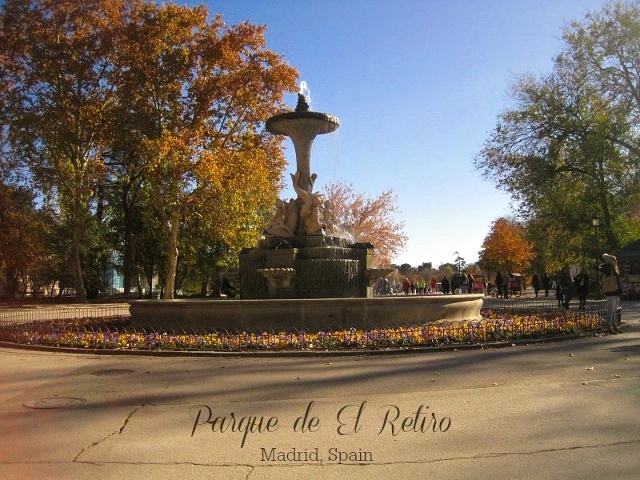 Partenón, 5, 28042 Madrid, Spain on the 28th -30th Nov 2017. I just happened to have days off on those days so I kinda invited myself to join R on this trip. Obviously, all expenses incurred by me was paid for out of our own pocket and not billed to the company. Ticket to Madirid for me was more expensive than R’s coz mine was purchased last minute, about EUR 240 round trip. Takes 2 hrs 40 mins to fly there, so not too bad. 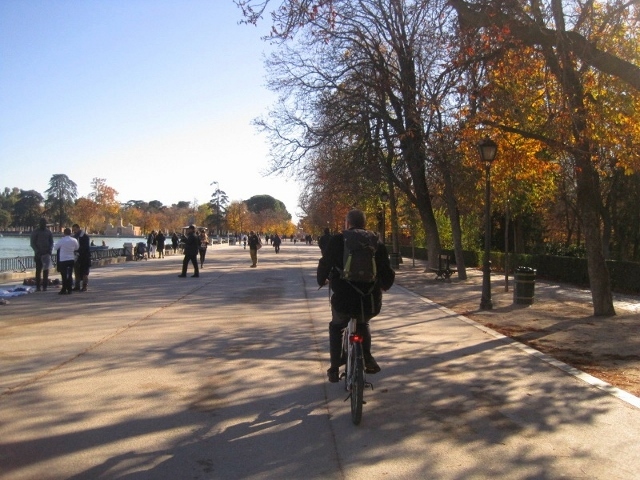 Everything is nearby and in close proximity when you live in Europe. “Spain! Duuuh …”, I said. “No I don’t. It’s Spain … it’s always hot there. That’s why everybody goes there on winter getaways”. R starts taking out the clothes I have just put into our shared bag and tells me to start over. I get miffed and reach for my phone to check weather reports … aaand it said Madrid was actually only 2°C. Bummer. I hate it when he’s right. Okay, so I repacked with heavier and more climate appropriate attire. Hummph. I was sure Spain = sunshine all year round! We were at the airport at 05:30 hrs for a 07:20 a.m flight on Aer Lingus. The flight was uneventful and we arrived in no time. The best part of arriving in Madrid is the spectacular views you’d get if you so happen to sit on the right side of the plane on your way in as you come over the great Pyrenees mountain range. The early morning sunshine played off on the brown rocks and snow capped peaks of the mountains. I had no idea Madrid was surrounded by such elevated terrain. See, this is why I love travelling … you get an education in the process. Once we arrived at the Barajas Adolfo Suárez International Airport we were greeted by HPE staff and ushered to waiting buses to take us to the convention centre so R and another colleague of his could register and collect name tags. 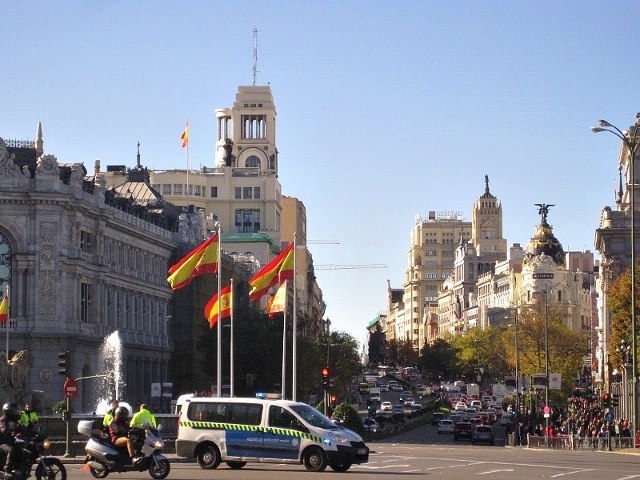 Then it was off to the Intercontinental Hotel – Paseo de la Castellana, 49, 28046 Madrid, Spain, conveniently located smack bang in the middle of a lot of nearby attractions and near to several metro stations. The Intercontinental Hotel is 5-star accommodation and we usually would not choose hotels like this when we travel but this was the exception since this was where Hewlett-Packard graciously placed their guests for the event. From the moment you walk in you know this place is posh coz even the air in the lobby is scented and everything is polished to a tee. 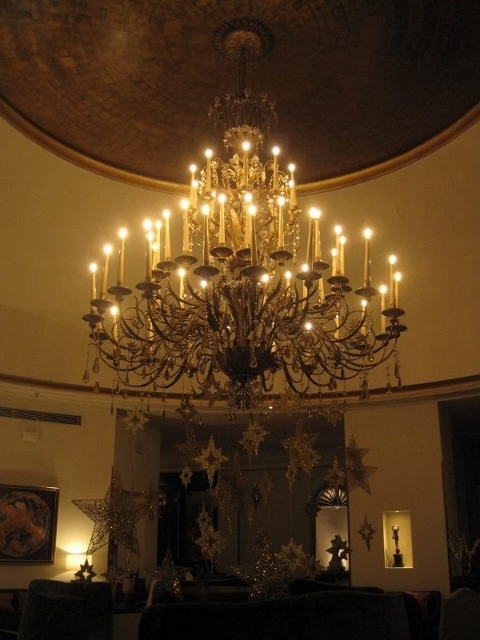 All the staff at the desk were so wonderful and made us feel very welcome … and then there is this giant chandelier in the middle of the lounge area where you can sit and have drinks at the bar. It was November therefore Christmas decorations were up everywhere. 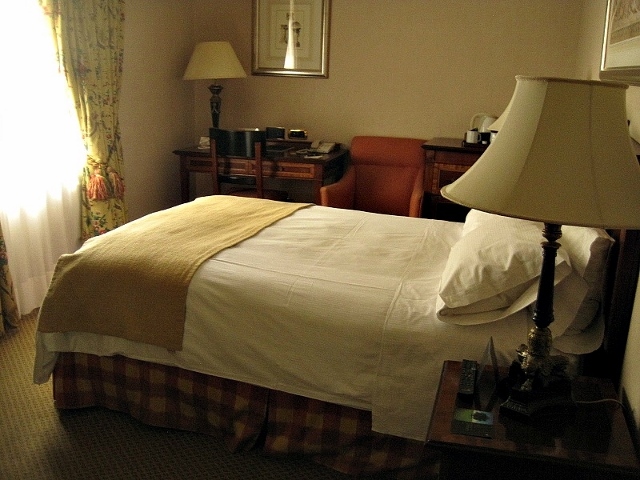 The room was very comfortable and the bathroom was really nice. The bed was oh so soft, I could stay in it all day. The three of us met in the lobby about 20 mins later – R, Dan and myself – and we took a stroll round the block to find something to eat. 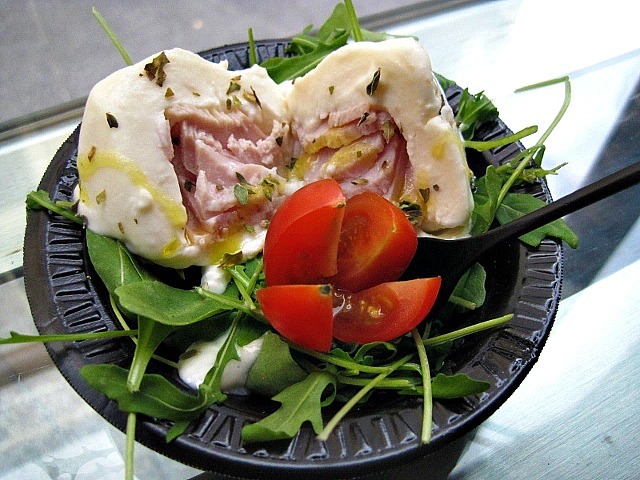 As we usually, we prefer to find something local rather than opt for burgers and chips. 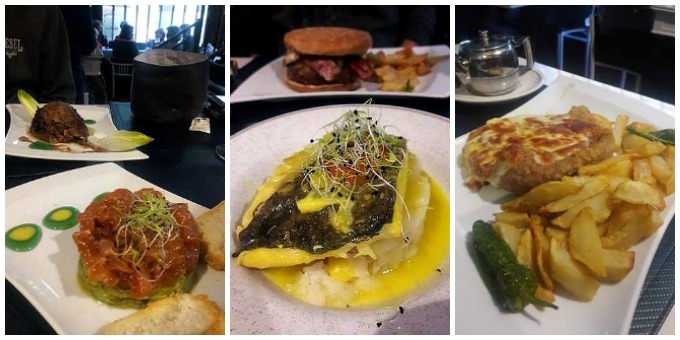 We read menus of a couple of restaurants and finally decided on Restaurante El Yate – Paseo del General Martínez Campos, 41, 28010 Madrid, Spain. It looked cozy and more importantly the menu looked appetizing with a good mix of something for everyone. We were seated at a table and the menus were brought. Another thing I have learnt on this trip is that while we were in a big city, the majority of people did not speak English. So we ordered off the menu by pointing; thankfully they did have English menus. Since they were serving tapas we ordered three kinds to share: tuna tartare with avocado, mini sirloin lollipops with sweet mustard and medallion of deboned oxtail with green apple reduction. DELICIOUS!! So delicious in fact that I failed to take any decent photos of the food. Rest of the day I returned to the hotel room for a nap while R and Dan attend to business at the Convention Centre. When he gets back he is pretty tired and goes down for his nap while I start planning what to do the next day on my own. My phone happened to beep so I pick it up to check for messages but it was just traffic updates in the area. I was about to dismiss it altogether but I don’t know what made me look into it further. I was well aware that it was 7 p.m and traffic is usually heavier as people leave offices and the like, but the heaviest traffic seemed to congregate at one tiny intersection on the road not far from our hotel. Zoomed in and the map said traffic was extremely heavy and slow moving in front of the football stadium. “Oooh, must be a local game on that’s just finished then“. 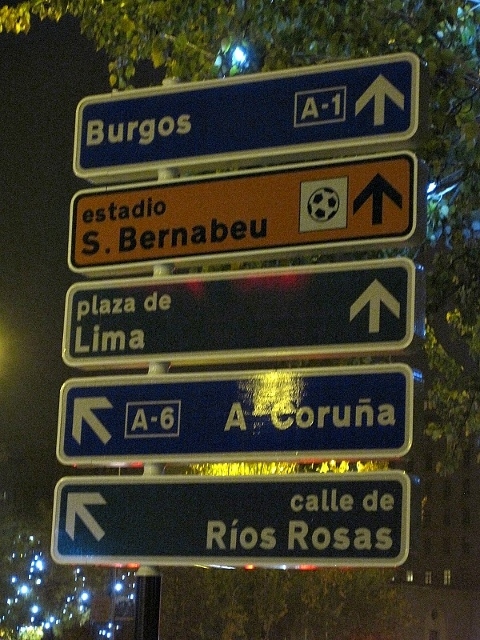 The stadium in question was in fact the Santiago Bernabéu Stadium – Av. 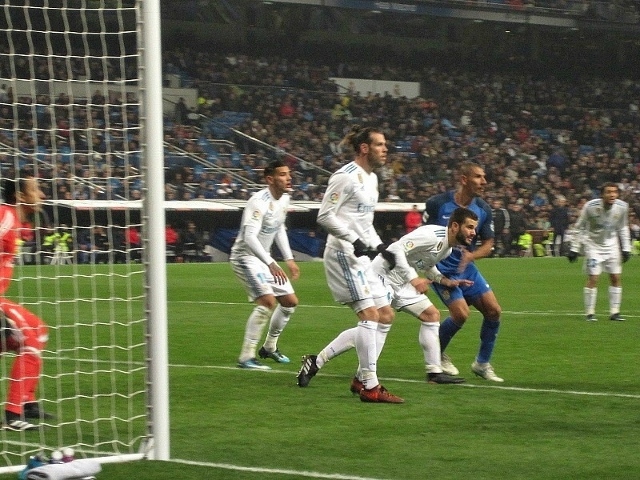 de Concha Espina, 1, 28036 Madrid, Spain, home ground to Real Madrid football club … and a local game had not just finished. Quite the opposite … it was about to start in the next hour!! HOLY CRAP, I gotta wake R even tho I was convinced there was no way we were going to get tickets at this last hour. Long story short, we got tickets and R was beside himself with happiness at how unplanned all this was. 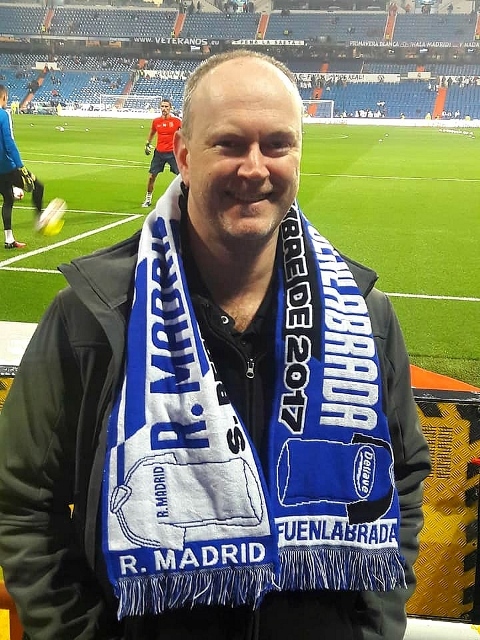 He is a football fanatic and for the chance to see Real Madrid FC play on home ground was a dream come true for him. It wasn’t a terribly important match so tickets were not crazy expensive, EUR 45 per person, and the stadium was a mere 20 min journey on foot. Even I was excited to be there at this world famous stadium and I really wanted to see Christiano Ronaldo in person. The walk towards the stadium only made us more excited as the anticipation built up. 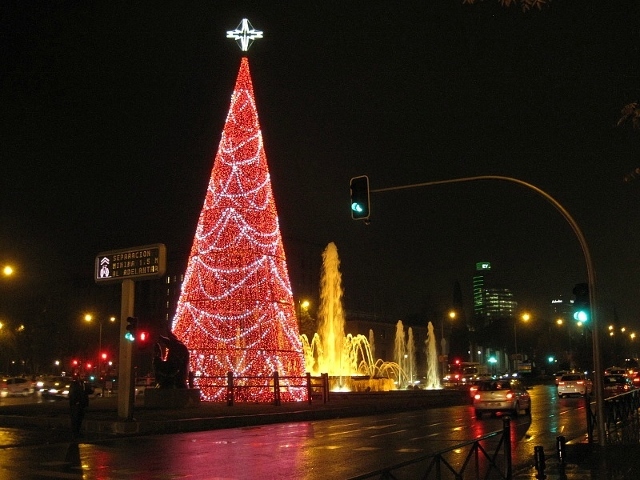 It was a beautiful walk along the well lit and decorated streets … and thank God I brought my coat and leggings coz it was COLD! Outside the stadium there was a real buzz and a carnival feel. Stalls were everywhere selling snack foods, drinks and football related paraphernalia. I bought a scarf to always remember this visit by. I should also have bought food now that I come to think of it coz food inside the stadium was crap and expensive. Once inside I was very surprised to discover we were four rows from the front, right next to the goal. So close that R even caught the ball at one stage as the ball went out of play. We did not see Cristiano Ronaldo on the field as he wasn’t even at the game. 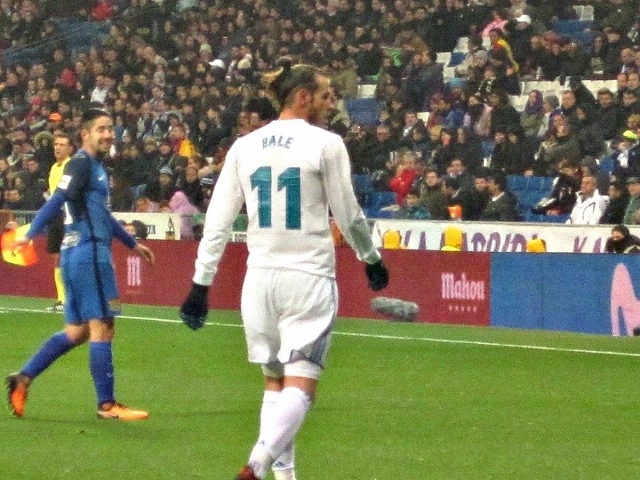 Oh well, we still got to see Gareth Bale … woohoo! Next day we start off with a huge buffet breakfast spread, courtesy of HPE in one of the smaller banquet halls. Nom nom nom. Then as R left to attend more talks at the convention centre, I venture out on my own like a big girl. I am really nervous about leaving the security of my hotel in a strange country where no one speaks my language. Plus, I have a bad sense of direction and I struggle at reading maps. I like to know in advance where I am going and how to get there in the most direct route possible – none of that get-lost-and-discover-something-new crap. I walked to the nearest metro station which was Gregorio Meranon station and picked up a rail map. Now I had to figure out how to buy a metro ticket from one of those ticket machines. Thankfully they come with multi-language instructions and I managed to buy a multi pass travel card that gave me access to metros and buses within the city limits. I got off at Opera and began to explore the area. 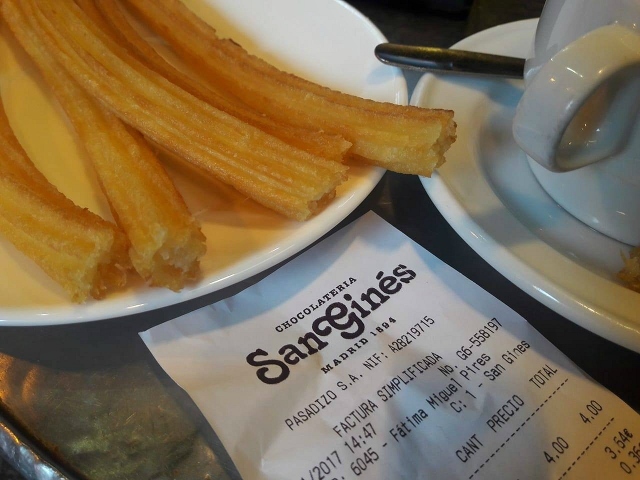 There was a reason why I chose to get off there : Chocolatería San Ginés – Pasadizo de San Gines, 5, 28013 Madrid, Spain. 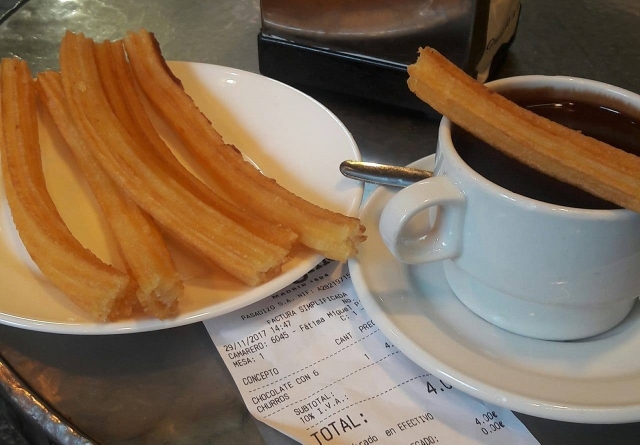 This cafe is famous for two things, freshly fried churros and hot chocolate. You can get other types of pastry, cake and hot/cold beverages too but churros is the highlight of this establishment. 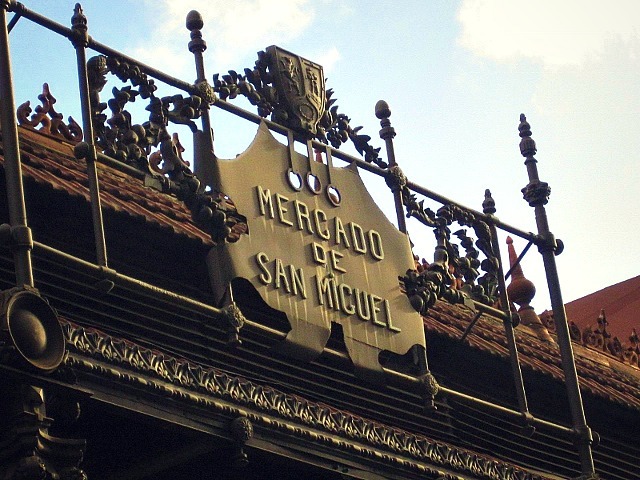 It was built in 1890 but four years later it was transformed into a churros and hot chocolate shop and that’s what they have been selling ever since. 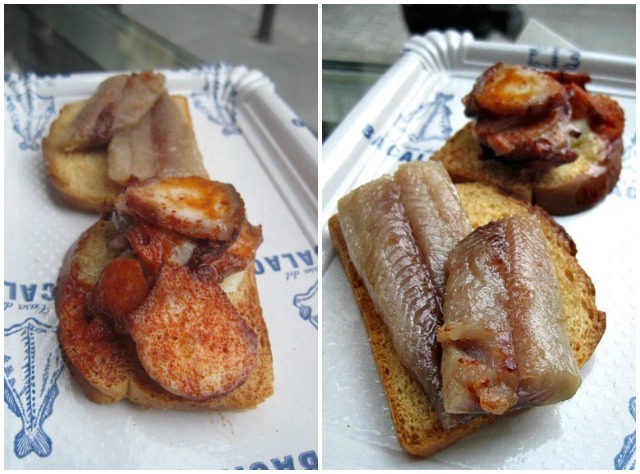 When I got there the cafe was not busy so I walked in and ordered the standard fare for only EUR 4.00. Is it hype? Yes. It this place a tourist trap? Totally. But I still had to do it. 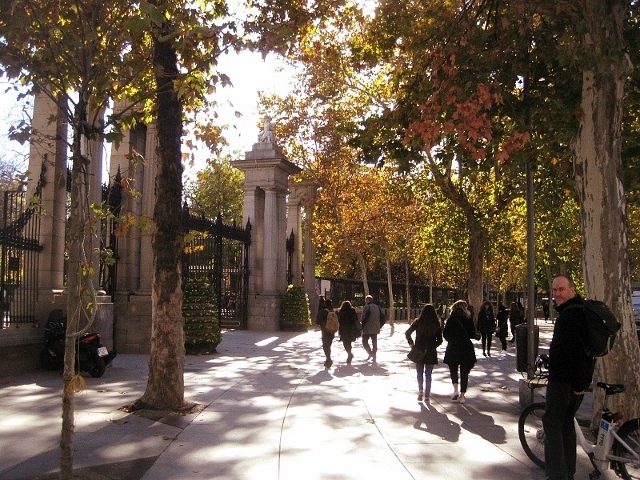 I am sure there are other places that sell nicer churros elsewhere in the city … hey, it’s Madrid … there is no way you are going to walk about the city and not bump into a churros shop. Heck, even the Intercontinental Hotel prepared churros for breakfast! 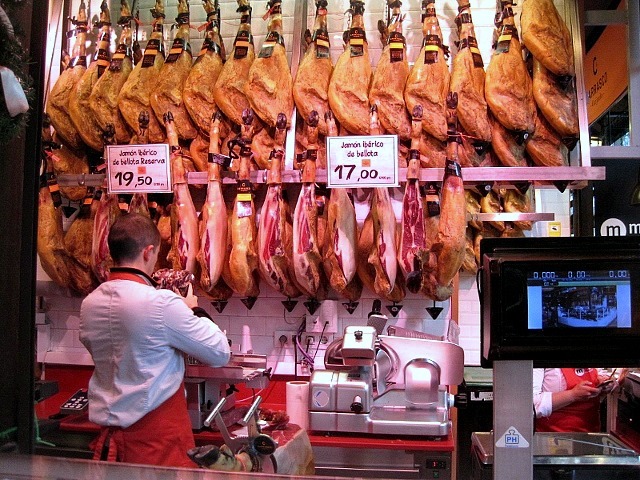 The other thing you will see a lot of in Madrid is the Serrano ham and Iberico ham, full legs of piggys hanging in delis and sandwich shops. I had a sandwich and it tasted pretty good. 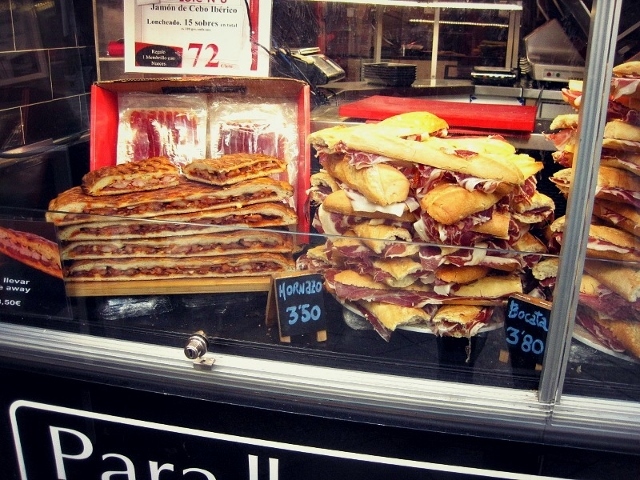 Food is generally cheap, plentiful and delicious. 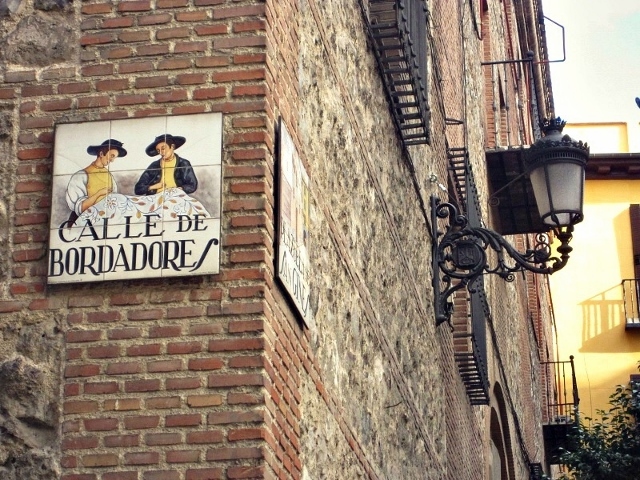 The city is old and it has lots of side streets and quiet lane-ways that lead to quaint terraces and courtyards. 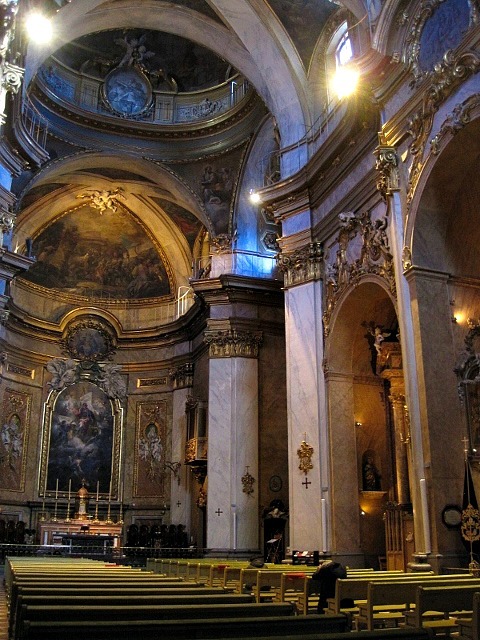 That’s the nice thing about travelling in Europe … flights are cheap, distances are short and the architecture is both old and stunning. I spend a lot of my European holidays looking up at things. It was cold but the day was beautifully clear and the air was crisp. Street stalls selling all kinds of things were everywhere. I walked into a gift shop and they were selling a type of fudge … apparently they only sell this during the Christmas season. They were not cheap but they were hella tasty … so I ended up buying four bars for about EUR 15 a pop. They come with dried fruit in them and they are very moorish, quite decadent. 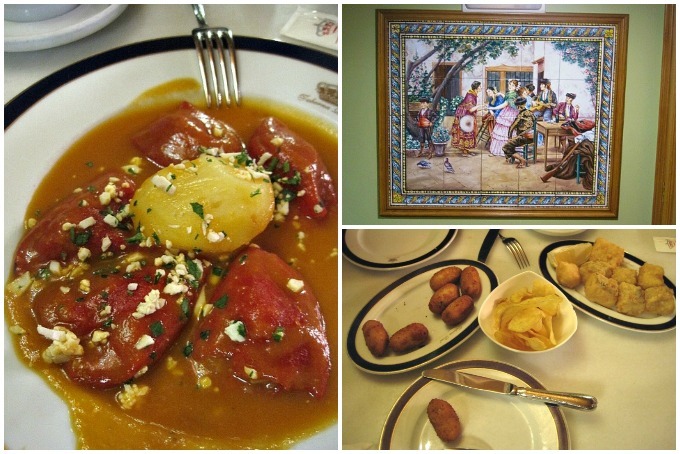 Later in the afternoon R joins me in the city and we go for a late tapas lunch at one of the local taverna. We sit down at a corner table and I immediately want to order everything on the menu. It’s how I like to eat … small tasting portions so I can sample many different things without being overly full on just one thing. 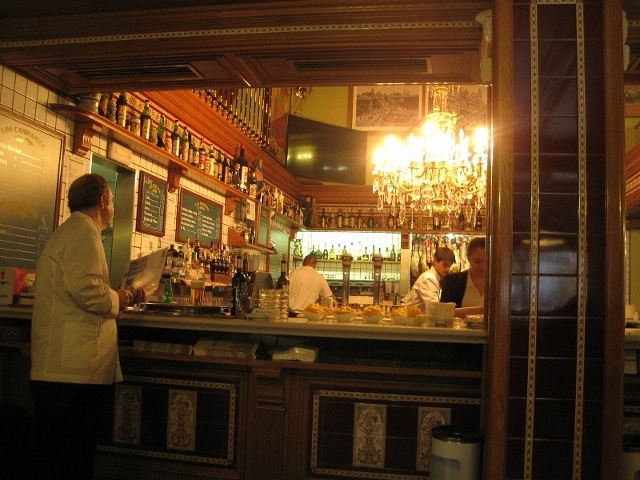 Taberna Real – Plaza de Isabel II, 8, 28013 Madrid, Spain is right next to the metro station Opera. We ended up with the croquetts, deep fried cod chunks and the stuffed peppers in tomato sauce. Delicious all! 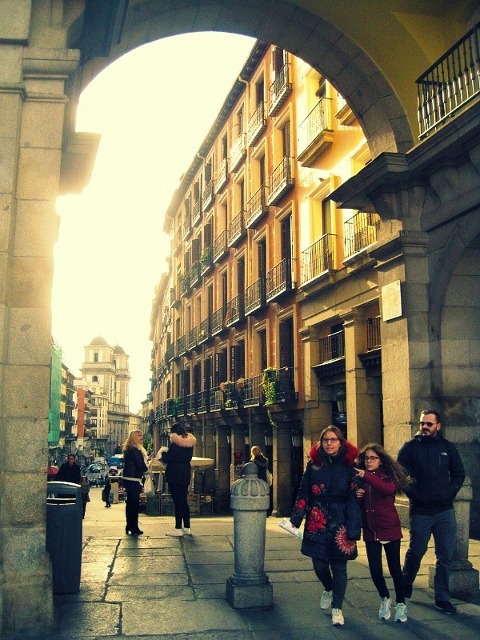 This was a working visit to Madrid so we didn’t line up to visit many attractions or map out which restaurants we were to eat at. We simply took it easy and just wandered about as we saw fit. Now that R was with me again I didn’t care where we went coz he usually has a good sense of direction and can find us the way home again in no time. Happy to just follow him about and he stops and puts up with my multiple photo stops. From the taverna we wandered down little lanes and cobbled stone streets and came to the royal palace. 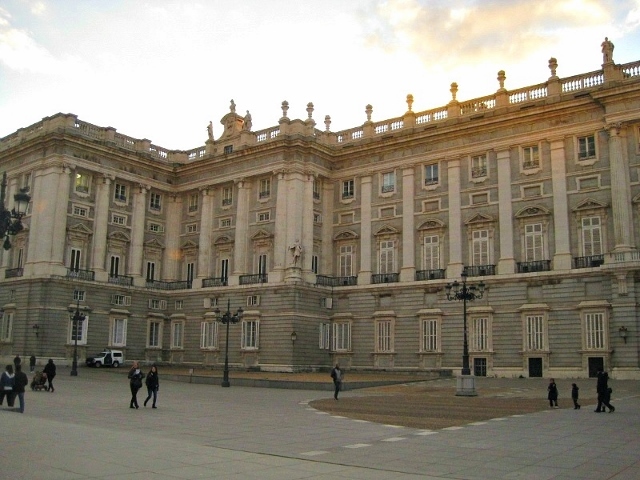 As with all royal palaces in Europe this one was big and impressive, made more so by the setting sun. By the time we got back to our hotel room we were really tired and R did not want to go back out in search of food anymore. He jumped into bed and fell asleep in seconds while I stayed up editing pictures. Pretty soon I got hungry about 10 pm. I didn’t want to go out on my own but I knew I wouldn’t be able to last until breakfast the next day so I did what any hungry gal would do … I picked up the room service menu. Hahaha … R would kill me but I’d deal with that later. Food looked good so I ordered a few things. 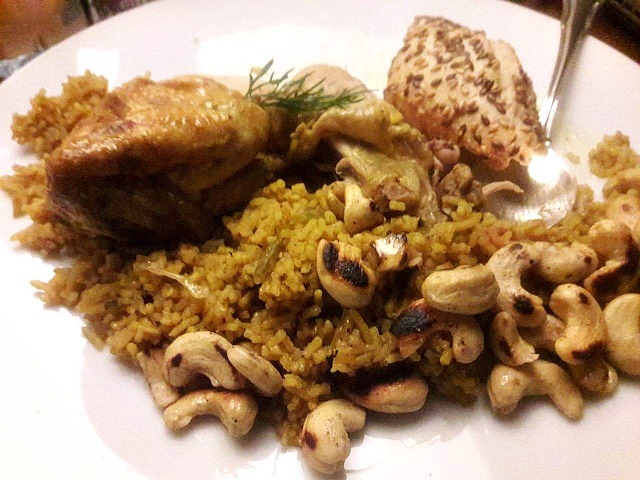 The highlight was the Qatari dish of slow braised chicken and cashews on saffron rice. The next day was free and easy, R did not have to attend and of the talks so we decided to venture out to a few local attractions. After breakfast we walked down to the centre of the city, which was lovely with the morning sun already up and the tree-lined boulevards glowing in the sunshine. 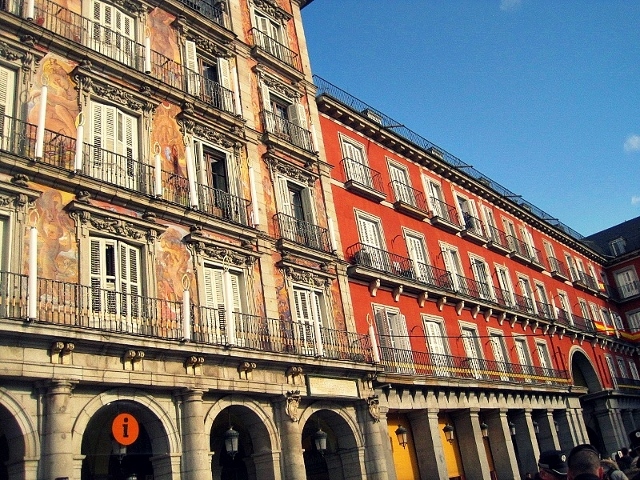 R had heard of this place called PLATEA – Calle de Goya, 5-7, 28001 Madrid, Spain which was once a theatre but has since been given a facelift. 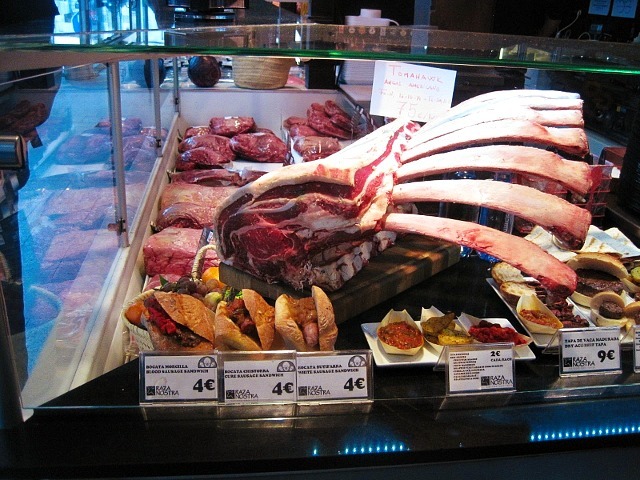 It is now Europe’s biggest gastronomic and leisure centre, all 6,000 square metres of it. There is several areas in this huge space: there is a deli selling local treats and specialty condiments, a food court spread over 2 floors, 3 galleries and a stage for performances. Cocktail bar, tapas dining, there is also a restaurant run by a Michelin starred chef. 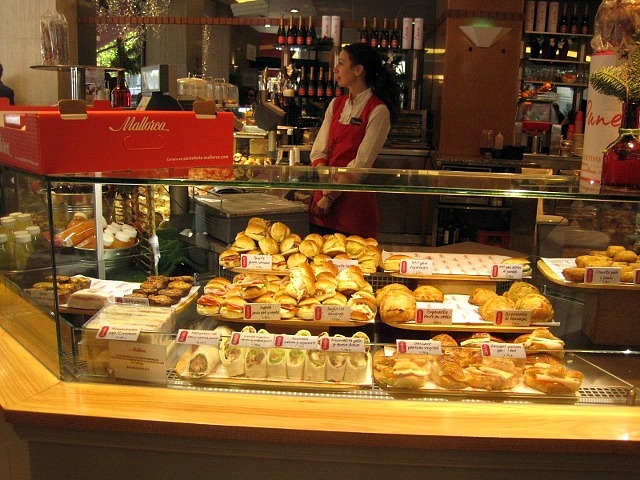 We sat for a while at a pastry shop then we walked about all four floors and spent the most time in the deli (of course) … wanting to taste and buy everything that was on the shelves. But R has a standing rule with me when we go out to places such as this where I feel a compulsive need to buy everything …> You can have what you can carry. And this doesn’t just apply to what I can carry for the day. It’s a cumulative amount that translates into suitcase weight. If I have packed light and have room in my suitcase then I should be fine, but not on trips like this where we have shared a single suitcase and we have a weight limit waiting for us at the airport check-in counter. PAH! 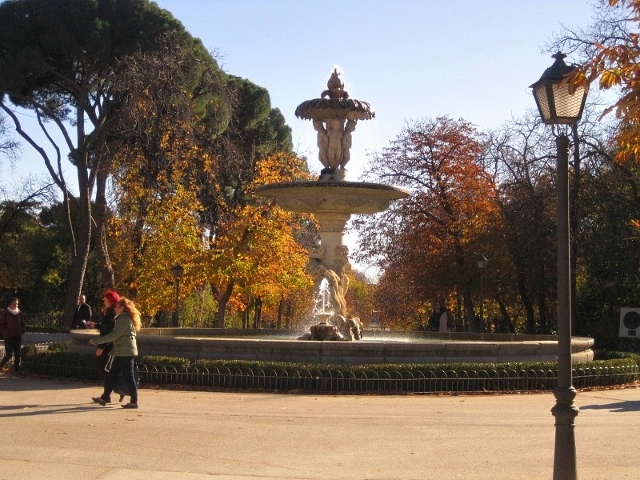 From there we walked a few blocks south along Calle de Serrano to arrive at Retiro Park and Gardens. Such a beautiful day had to be spent outdoors and in this gorgeous park. 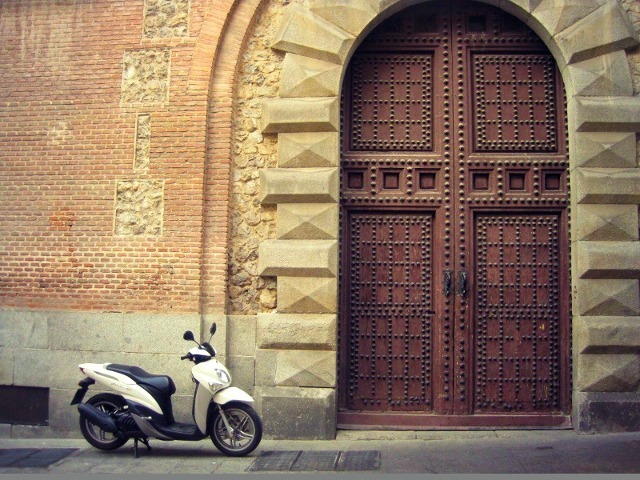 It is fairly big so we decided to rent electric bikes to enable us to cover a lot of ground quicker, otherwise we would be there hours and not get a chance to visit the bull fighting ring in Las Ventas. The bike racks are everywhere in the city. Just pick one, go to the machine, punch in some details (they will ask for full name and passport number), and make payment by card. A plastic card will be spat out by the machine. Simply take this card to the bike stand and wave it in the sensor which will release the bike … and off you go. They can be very fast when they get up to speed so be careful if this is your first time. But first a quick stop at a local cafe and tapas shop for coffee and a packed lunch to take with us to the park. We actually sat here more so because I was having trouble with the stupid bike rental machine that didn’t want to recognize my passport details. It refused to take payment and REFUSED to issue me a bike rental pass. Uuughhh!! I must have tried 20 times before finally giving up and I plodded back to the cafe where R was sitting at to lament my predicament. So he went instead and I don’t know what he did but he came back with a bike pass for me. Hooray! ON YA BIKE, MATE! 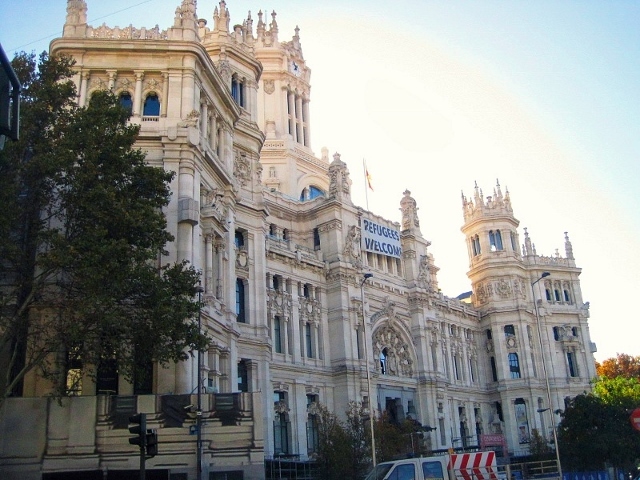 From here we hopped on a metro and took a short journey from Retiro (red line 2) and got off at Ventas right where the famous bull fighting ring is, Plaza de Toros de Las Ventas – Calle de Alcalá, 237, 28028 Madrid, Spain. It was closed but you can buy tickets at the desk to take a tour inside the empty arena to see what it’s like … but we didn’t. Personally, I cannot in good faith, condone the killing of an innocent creature for the sake of human entertainment. I cannot speak for the Spaniards who consider this practice part of their culture and I can appreciate that it’s a different perspective altogether and I think we will leave it at that … where we will agree to disagree. So we didn’t buy a ticket to see the killing … oops, I mean bull ring. We stayed outside and marveled at the architecture instead. 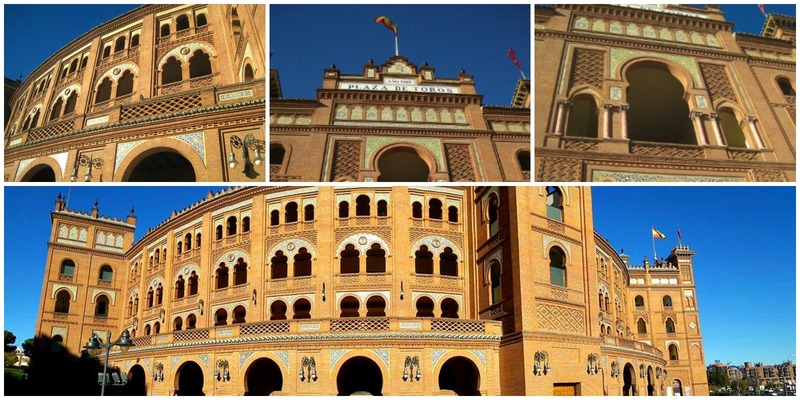 It has a Moorish design with minarets, arched windows and latticed balconies characteristic of Islamic design. Bull fighting season starts in March and ends in October. By the time we finished lunch (I ate oxtail stew) we were getting heavy headed and lazy in the afternoon sun. By 4 p.m the sun was fading and we took that as a signal that we should leave and take some rest before dinner. Dinner was initially at a swanky sounding place with a very interesting menu. It looked like they offered tasting plates and wine pairings. We were far too full after our late lunch to have anything heavier than tapas or tasting plates anyway so we headed out in search of this place. Google maps informed us that it was just a short walk from our hotel. 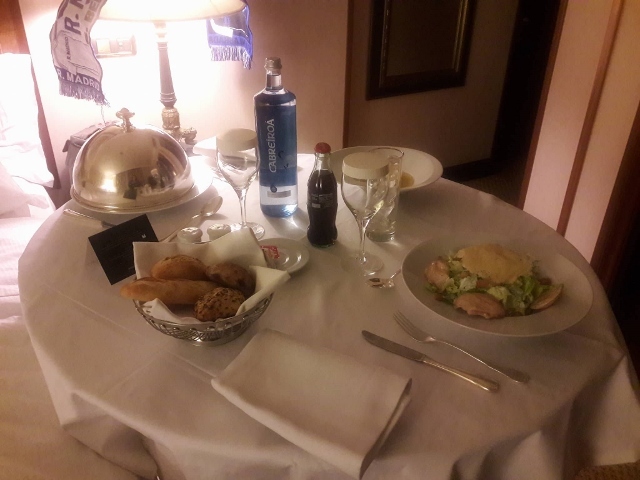 It is important to know that people in Madrid (like Paris) tend to eat dinner later in the evening than what we are used to. At home, dinner it served between 6 – 7 p.m. But over here the restaurants are at their busiest between 9- 11 p.m.
We had a bit of difficulty locating this restaurant as it was down a quiet street away from the main roads. The front did not look overtly like a famous restaurant and we were just about to walk up the steps to the front doors when a fancy car pulled up. From within stepped out two elderly gentleman in tuxedos and bow ties. Following right after them came two elegantly dressed ladies in evening gowns complete with fur stoles and gloves!! I immediately refused to enter the restaurant as I felt we were far too under dressed for the establishment and I turned on my heels and walked away double time. 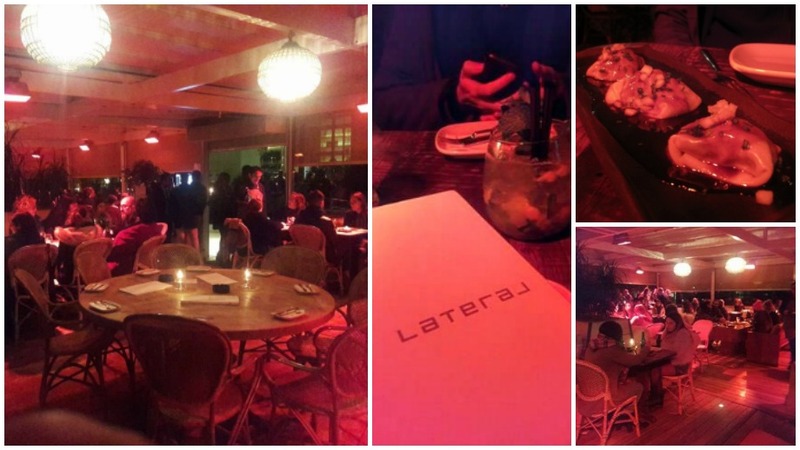 So we ended up at a much more casual dining place called Lateral Castellana 89 Tapas and Cocktail Bar – Paseo de la Castellana, 89, 28046 Madrid, Spain. It was well after 9 p.m and there were no tables available. We were politely asked to wait at a bar table and were served our drinks. After 25 mins or so we were seated at a proper table and so began our food adventure … tapas for dayysss. This place served up very good cocktails and their tapas were on point. They open until 2 a.m. I know the pictures look terrible but such was the lighting in the place … every thing was red, so food photos took a back seat. But the food was delicious, a little pricey but I always say I don’t mind paying that little bit extra if food is good. So we dined on fried calamari strips, duck ravioli with honey and soy dressing, meatballs and I don’t know what else coz I didn’t take photos and the bill was in Spanish … GAH!! 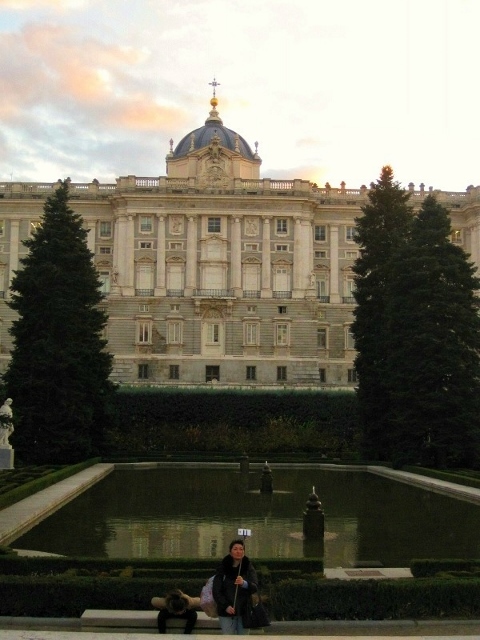 The next day was our final day in Madrid and we had a late evening flight so we made the most of the time we had left. This day was not part of the business trip, we simply extended our stay by one day to be cheeky and cover a few more sightseeing spots. I had 4 days off work anyway so might as well. Today we started breakfast out on our own in a nearby cafe in the Opera area … lovely potato tortilla and hot chocolate!! One thing to note that a tortilla here means something akin to a potato frittata; it’s not a flour tortilla wrap. 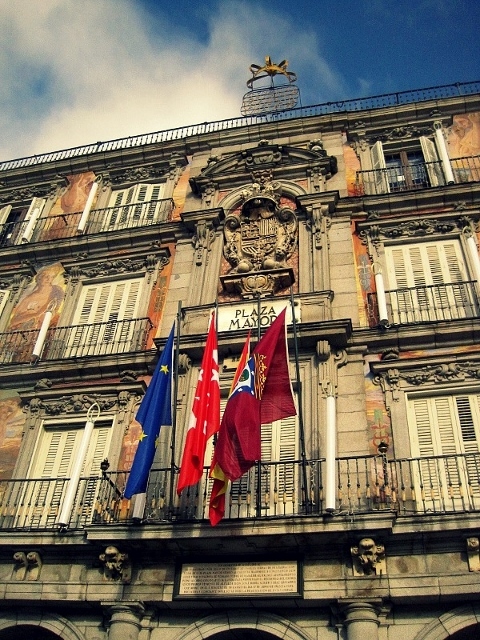 From there we strolled to Plaza de Mayor, a giant square built in 1617. At the time the Nativity Market was being held there, selling all manner of Christmas decorations from trees to wall hangings, from the cheap and tacky to the slightly more artisanal sculpted figurines. 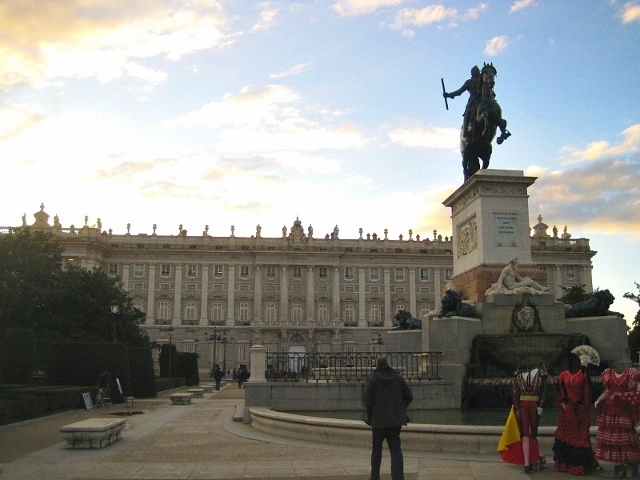 Back in the day the square was used for more sinister public executions during the period of the Spanish Inquisition, and “heretics” were burned at the stake. 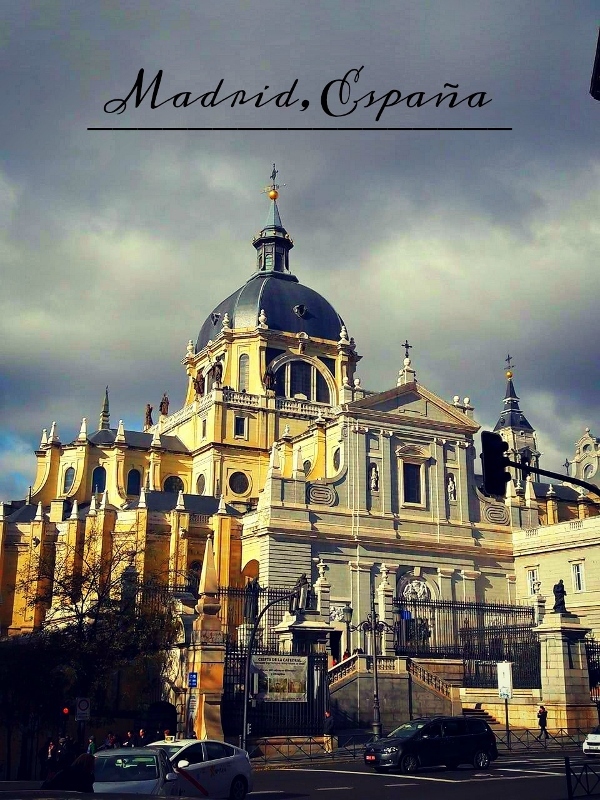 We also visited Basillica San Miguel coz we like cathedrals and all the frou-frou elements within … also this was to be my first Spanish cathedral visit and I wanted to see how it compared to the Italians and the French. 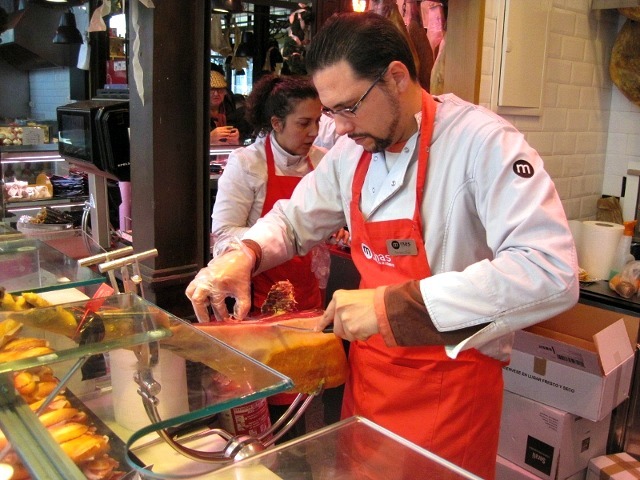 Then came my favourite part … visiting the Mercado San Miguel – Plaza de San Miguel, s/n, 28005 Madrid, Spain – one of Madrid’s famous indoor markets. But they don’t sell fresh produce like an actual market. This place sells tapas and is a tapas lovers heaven. 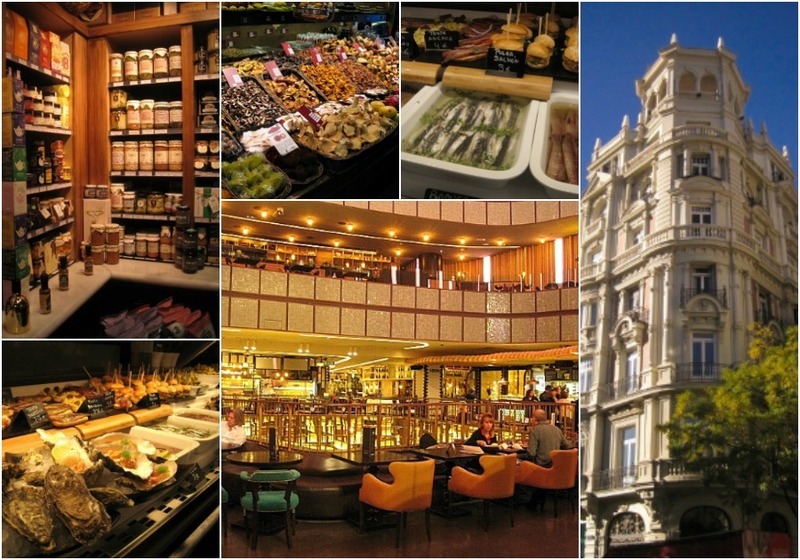 The original structure was indeed made to be a fresh produce grocery market in 1916 but it has been revamped and reopened as Madrid’s premier indoor gourmet tapas arcade where all manner of cooked food is available for sampling from fresh salads, cheeses, olives, preserved meats and seafood. Specialty wine, beer and spirits are also available and the atmosphere is so wonderful and casual with people wandering from vendor to vendor with wine glass in hand. What a beautiful way to end our maiden trip to Spain. We could not have been more blown away by her beauty, her wonderful people and culture and all that food. And this is just the tip of the iceberg, a scratch on the surface … now we gotta see Barcalona, Valencia, Zaragoza, Malaga … omg, the list goes on. We definitely want to see the Pyrenees and Andora too. Sighhh … so much to see, so little time and money to do it all in. I keep praying we will strike the lottery and then I can quit my job and travel all I want. So that evening we returned to the hotel, got our bags and took a short taxi ride to the airport. 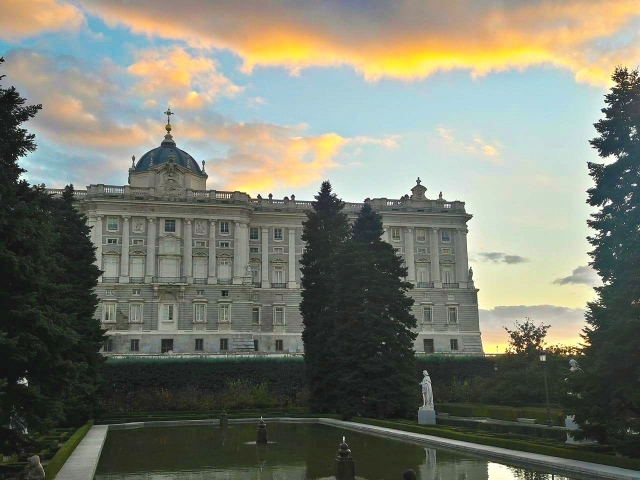 And just like that, Madrid gets filed in the travel section of this blog along with all the other wonderful places on this planet we have been to, collecting a lifetime of memories along the way. God bless my boyfriend for being who he is and for sharing my love of travel and adventure. We may not always agree on certain destinations but we do share the same style of travel and I think that is so so so important in keeping the peace and the sanity when one travels. He sorts out most of the logistics and accommodation issues while I sort out the what to see and where to eat part. I am very good with geography and history and I love taking him to see things he has never even heard of before. Together, I think we make very compatible travel partners and I look forward to our next adventure … which I believe will be a really wild and exciting one next year when we visit Alaska on a 14-day trip. First we attend a wedding then we go camping and hiking about the national parks in search of wildlife. This is going to be good! Until next time then … adios.